As you can see, laver is dense with daily essentials and unique health benefits. For one, it is rich in iodine, which supports thyroid health. 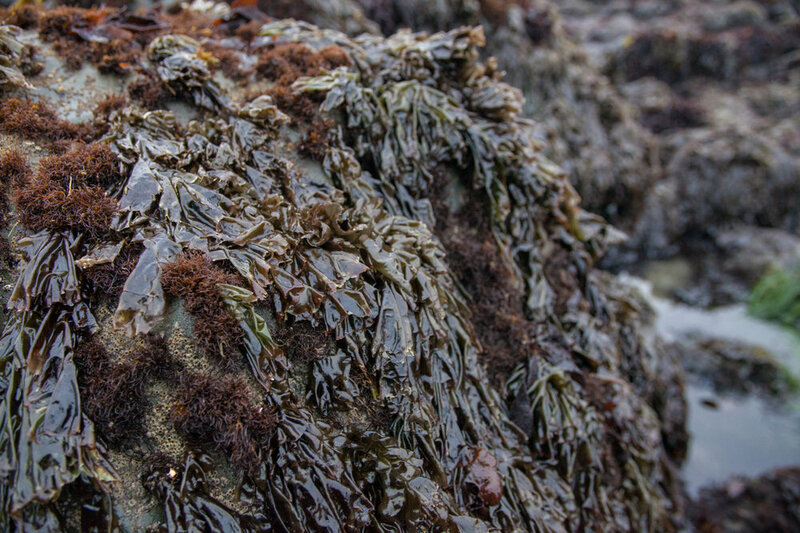 Like so much seaweed, laver is renowned for its anti-cancer and anti-viral properties. Laver has also been shown to improve gut health and is recommended for people suffering from certain types of digestive ailments. The list of laver’s health benefits goes on and on, so it’s not crazy to call it a superfood. seaweed chips, or you can get a bit more adventurous with some unique recipes. Prep the seaweed by rinsing it off and then letting it simmer for 6 hours until it turns pulpy. Once this is done, simply mix in the seasoning, olive oil, and lemon juice, and give it a good stir. All that’s left to do is to toast the bread, add some butter, and spoon the laverbread on top. Serve immediately after making. In Wales, this dish is known as bara lawr. It’s so popular there that you can actually buy canned laverbread. However, there’s nothing quite like cooking something that you foraged for yourself. Not only does this ensure you have the freshest ingredients, but there is a great deal of satisfaction that comes with eating something that you harvested in the wild. What better way to spend a day by the beautiful California coast than harvesting delicious and nutritious seaweed?